4 & 6 Person Golf Carts can be rented for 2, 3 or 6 Hours. 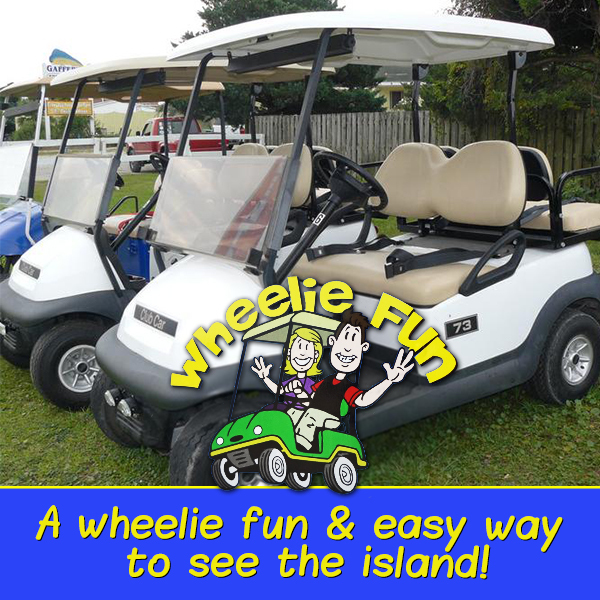 Take a family cruise around the island on one of Wheelie Fun's golf carts! Cart rentals also available by the day and for the week. To rent a cart, you must be an adult with a valid driver's license.